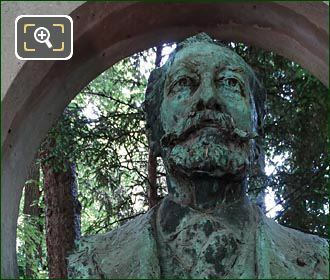 This time while we were within the Jardin du Luxembourg in the 6th Arrondissement we took these high definition photos of a monument dedicated to Jose Maria de Heredia, which was sculpted by Victor Segoffin. 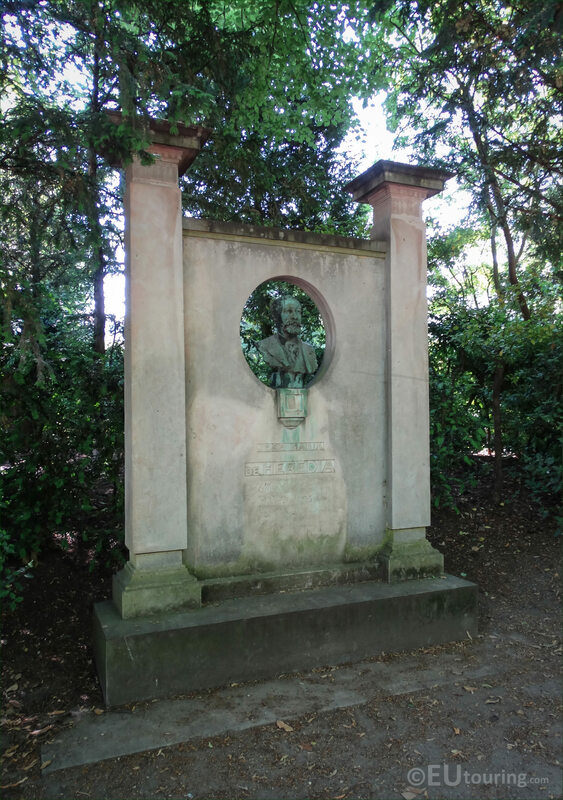 This first HD photo shows the full monument to Jose Maria de Heredia, which is made of marble and is a total height of 3.2 metres, yet the centre has a bust sculpted in bronze, which in itself measures 0.6 metres and this statue was produced by Victor Joseph Jean Segoffin. 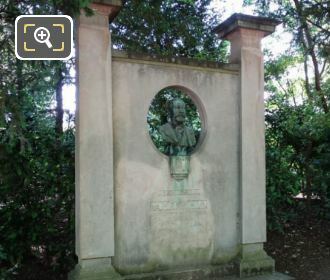 Now this next photograph shows a close up of the bronze bust, dedicated to Jose Maria de Heredia, who was born in November 1842 near Santiago de Cuba, and hence his Cuban origins, yet he moved to France, where he was eventually granted French nationality in 1893 and became known as a man of letters, as he was a poet, yet also librarian at the Bibliotheque de l'Arsenal in Paris. 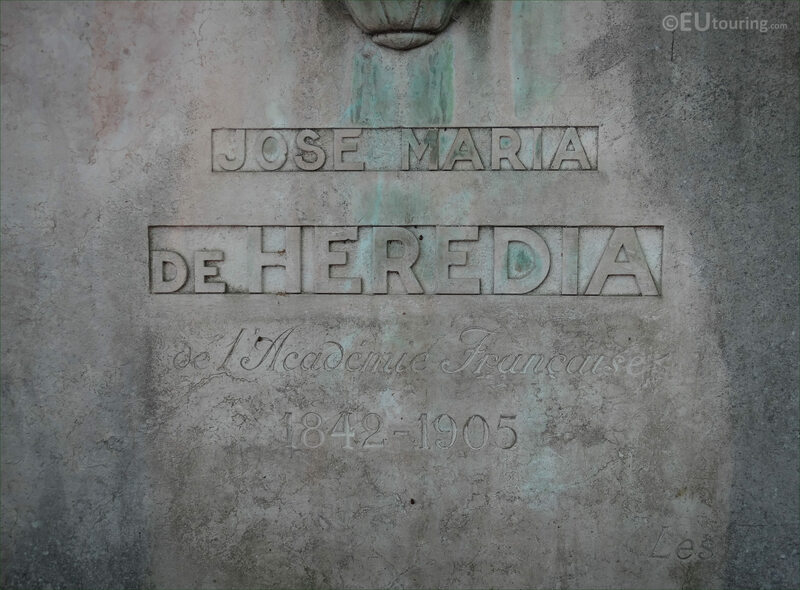 So, Jose Maria de Heredia was one of the poets associated with Charles Leconte de Lisle, and these men of letters were given the name of Parnassiens, and although he was not a prolific writer, his sonnets are referred to as one of their kind among the most skilled of modern literature, leading to Heredia beings elected to the Academie Francaise in 1894 prior to passing away in 1905. 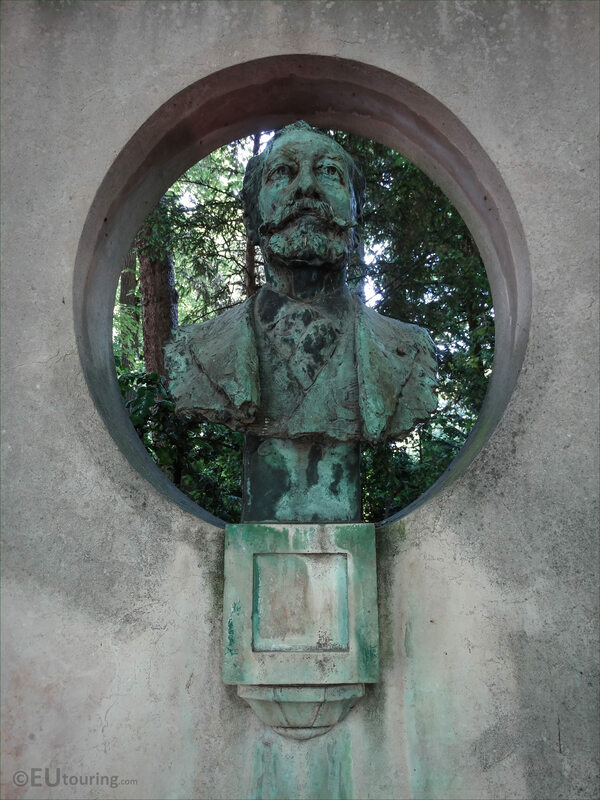 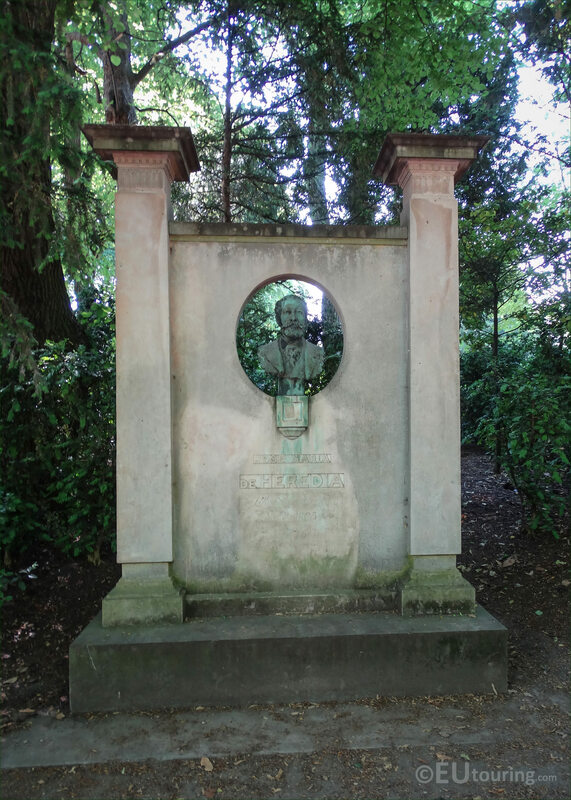 And as we mentioned earlier, the Jose Maria de Heredia Monument was produced by Victor Joseph Jean Segoffin who was born in Toulouse in 1867, yet studied at the Ecole des Beaux Arts in Paris, then later winning the Prix de Rome for sculpture in 1897 and was awarded the Legion of Honour in 1922. 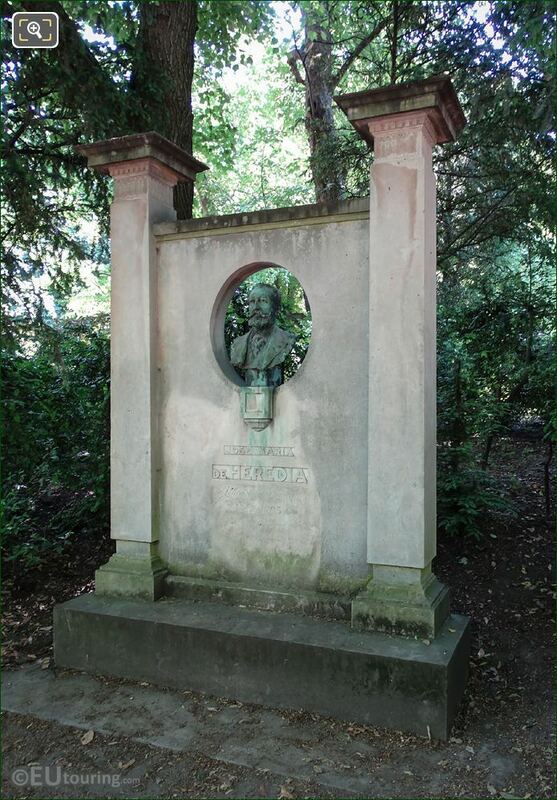 So this last photo showing the Monument a Jose Maria de Heredia was actually inaugurated within the Jardin du Luxembourg on the same day that artist Victor Segoffin passed away in Paris, which was 17th October 1925, and this can still be found in the same location in the south westerly side of the garden close to other statues dedicated to different artists.